In countries where winter tyres are mandatory, tyre ‘hotels’ are relatively easy to find. If you’re in any doubt as to where your nearest storage centre is, it’s worth contacting your local Uniroyal dealer for advice. 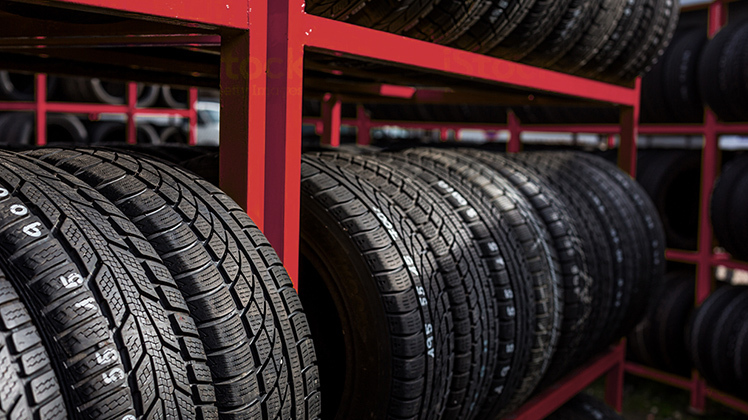 It may too cost-prohibitive or simply too inconvenient to store them away from your home so, if you are going to try and do it yourself, the next question is how and where to store tyres so that they stay in peak condition? The most important thing to avoid is cracking on the tyre wall. This happens when tyres are left unused for a long period of time. When tyres are in motion, anti-UV oxidisation chemicals keep the tyres flexible. However, when they’re static, these chemicals are not distributed evenly and dry patches appear. You therefore need to minimise exposure to UV while your tyres are in storage. Once you’ve cleaned them – using a mild soapy detergent – and left them to air dry, use a tyre marker to mark their original location (left front, right rear etc.). Then wrap each tyre in an opaque black bag. You can buy tyre protection bags from motoring retailers or use black refuse bags. Try to extract as much air as possible before sealing them. Store your tyres off the ground, ideally on a tyre rack, in a cool, dry, clean environment. Keep the tyres away from any heating or hot water supplies. If your tyres are still connected to their wheels you can store your tyres horizontally on top of each other, sidewall to sidewall. If the tyres are being stored without tyres, align them vertically, with their sidewalls touching. Remember, to give the oxidisation chemicals the opportunity to reach the entire circumference of the tyre, you should rotate the tyres regularly, a bit at a time. Even if you’ve stored your tyres carefully, they may still dry up through lack of use. Before refitting them to your car, look carefully for any cracks. If in doubt, ask your local Uniroyal dealer to check them over for you.